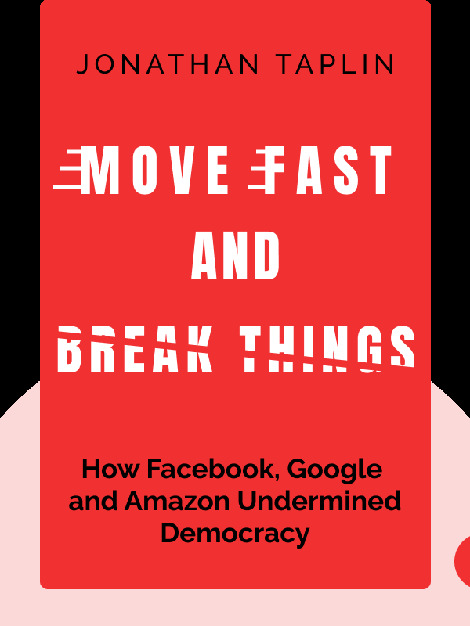 Move Fast and Break Things (2017) takes a look at the grim reality of how giant tech companies are harming society in ways both big and small. By dodging taxes, they’re keeping money from government programs that have been behind some of our greatest innovations, and in their desperate hunt for data and profits, they’re invading our privacy while fleecing the creators of art and high-quality entertainment. 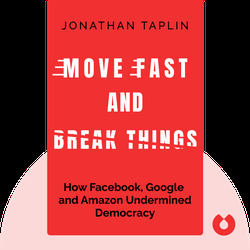 Author Jonathan Taplin offers some light at the end of this dark tunnel, suggesting there may be better ways of negotiating with this technology. Jonathan Taplin is an American writer and film producer. Since 2004 he’s been a teacher at the USC Annenberg School for Communication and Journalism. He began his career as a concert producer for legendary musicians such as Bob Dylan and The Band, which led to producing movies such as Martin Scorsese’s Mean Streets. He is also the author of the 2010 book Outlaw Blues: Adventures in the Counter-Culture Wars.